Mount Dora's Data Graphics Inc. TakesFlorida's Top Manufacturing Honor For 2016 | Data Graphics Inc. Mount Dora's Data Graphics Inc. TakesFlorida's Top Manufacturing Honor For 2016 | Data Graphics Inc.
MOUNT DORA, Fla., Nov. 21, 2016 /PRNewswire/ — At the 13th Annual Manufacturers Summit and Marketplace on November 16th in Gainesville, FL, the Manufacturers Association of Florida (MAF) recognized Mount Dora’s Data Graphics Inc. as the 2016 Small Business Manufacturer of the Year for the State of Florida. 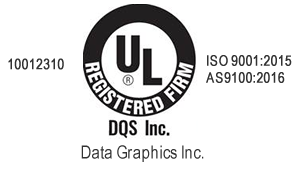 Based in Mount Dora, FL, Data Graphics Inc. is a global manufacturer of custom nameplates and custom labels serving the needs of both governmental and private sector customers. Fifteen judges narrowed the competition to twelve finalists in four categories. Each company was judged on leadership, strategic planning, customer and market focus, measurement, analysis and knowledge management, workforce focus, and process management. In addition to evaluation of the applications, the judges interviewed each finalist and toured their facilities. “Data Graphics Inc. is among the best of the best in Florida. They serve as role models for all Florida manufacturers and are positioning themselves for tremendous growth and success,” said Nancy Stephens, Executive Director, Manufacturers Association of Florida. 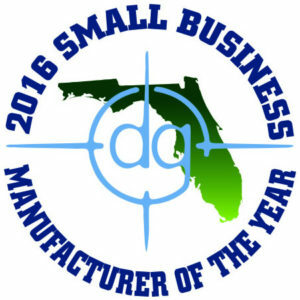 “We are excited to be recognized by the MAF as the Small Business Manufacturer of the Year 2016 for the State of Florida. This award is an honor and validates the hard work of 65 team members, our strong processes and our customer focus,” says Brad Butterstein, President of Data Graphics, Inc. In an era where many manufacturers have struggled, Data Graphics Inc. continues to thrive. Fueled by a strong commitment to its team members, an unrelenting focus on quality, and an emphasis on genuine customer relationships, the company doesn’t see progress slowing any time soon!